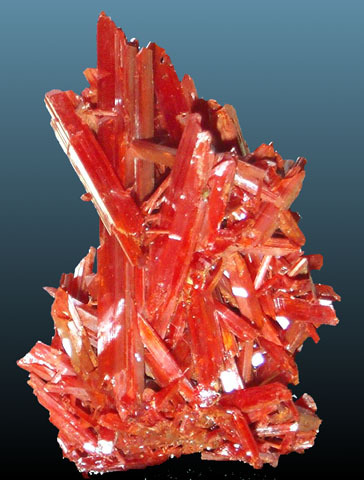 Comments: Prismatic crystals of red-orange crocoite. Location: Adelaide Mine, Dundas, Tasmania. Scale: Specimen size 5 cm.